This is the page where I'll describe myself and my hobbies in more detail. Well as if this is an interest to anyone. I am a 20 year old married young man with a beutiful wife, no kids! and alot of free time on my hands. well my interest if you havent figured it out is cars more specific the Mustang. currently between my wife and i we own five(5). 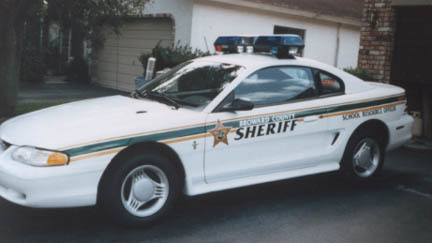 My 1993 2.3l lx coupe ,her 1994 3.6l, and my resto cars: 1981 gt 1981 lx and a 1979 gt hwy patrol car. NOTE: Pictures and materials on this site may have been taken from other online sources....if you are the rightfull owner of such materials please let me know and i will either add your link to that pic or remove it with my apologies.